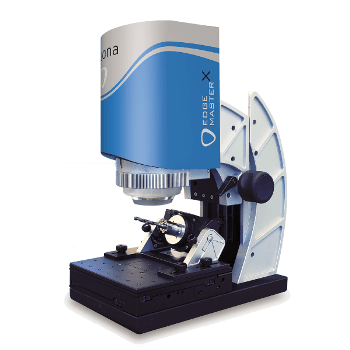 The EdgeMasterX, an automated cutting edge measurement instrument from Alicona, is designed to provide quality assurance of drills, mills, inserts, and other round tools during production. 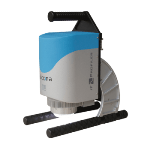 It facilitates automatic measurement of multiple edges of tools, and helps to achieve a full series of user-defined measurements in a single run at multiple edge positions. With the EdgeMasterX device, users can analyze form and roughness of a certain position and compare across multiple tools in a batch. The simple user interface design includes a single button solution, allowing measurements to start without any additional user interactions. The measurement system uses a traffic light system to indicate non-conformities and differences, making variations from a CAD dataset easily visible. It uses radius-fit to measure radius, rake/chipping angle, wedge angle, negative and positive bevel lengths, clearance angle, and edge symmetry. In addition, the automatic chipping measurement feature measures the length, depth, and volume of defects alongside the edge.